Our mission is to educate, advocate and provide services, programs and support for Boulder County's Lesbian, Gay, Bisexual, Transgender and Queer communities. Through activities, support groups and events we reach over 9,000 people each year. 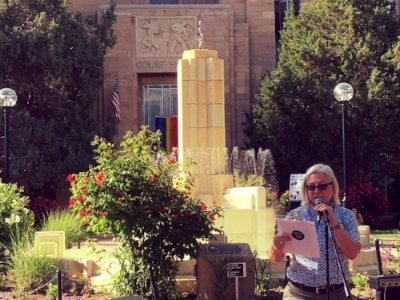 The vision of Out Boulder County is that Boulder County serves as a model of equality, respect, and well-being for Lesbian, Gay, Bisexual, Transgender and Queer people. In 1994, several LGBTQ community organizations in the City of Boulder collaborated on a series of events to celebrate Gay Pride. This collective was called Boulder Pride. As the LGBTQ community grew, so did the need for the organization to broaden its purpose. After becoming a state tax-exempt organization in 1998, Boulder Pride received a grant from the Gill Foundation to secure a community center and offer services to the LGBTQ community of Boulder County. The Community Center, now known as “Pridehouse,” opened its doors officially in 2004 and began offering programming to LGBTQ people in Boulder County. Despite the year-round nature of Boulder Pride’s work, the organization remained too exclusively associated (in the public’s mind) with the annual Pridefest block party. Better publicity was called for and as a result, in September 2010, the organization changed its name to Out Boulder. The new name better reflected the broad range of events, programs, and services that the organization facilitates beyond the original Pridefest. In April of 2016, Out Boulder changed it's name to Out Boulder County and opened a second office on Main Street in Longmont. Through the consistent and dedicated efforts of board, staff and community, Out Boulder County has steadily grown being able to provide a broader array of services and programs to our community. With over 150 active, engaged volunteers, we are truly a community-driven organization. We look forward to working together with you!